I am trying to go through some of my untrieds so I decided to do some more skittles for this challenge. The challenge topic this month is stamping. 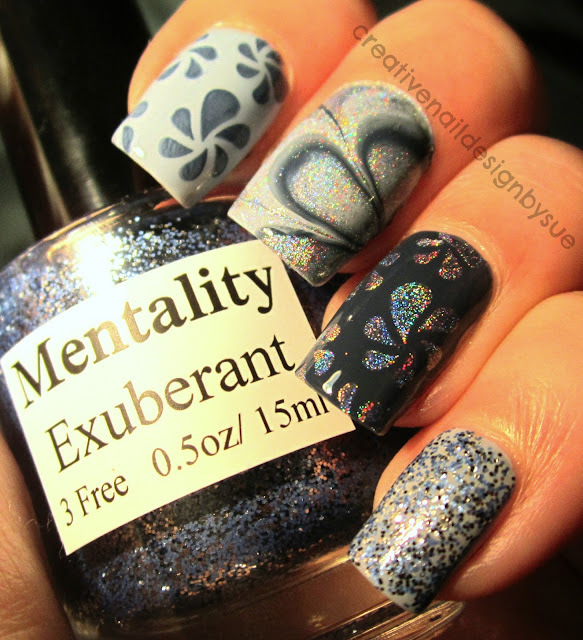 This design that I used on index and ring finger is from the Cheeky Summer 2013 plates. 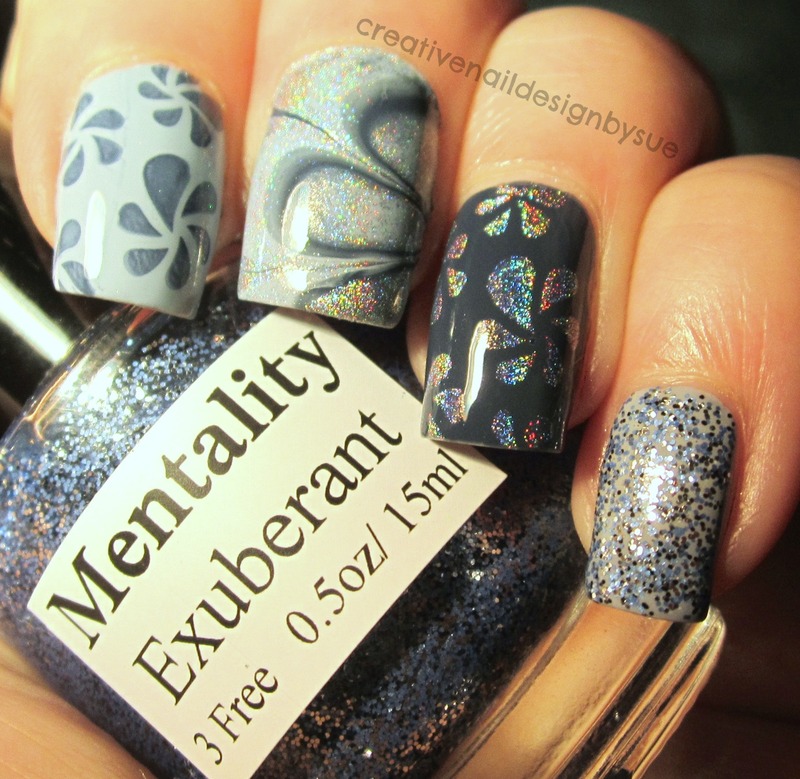 I used Mentality's Exuberant on the pinky and Zoya Natty, Zoya Kristen and Color Club Harp on it for the stamping and water marble. Holy crap. That is amazeballs! Love it SO much!! That holo stamping and water marble is such a cool idea! Wow! That's amazing!! Loooove it! !